Art Talk: Another Blog Hop! If you just found our event, please begin your journey on the Faber-Castell blog. See how well Faber-Castell and myStamp BOX products work together! We are giving away some amazing product from both participating companies. All you have to do is COMMENT on all designers blogs along your journey to WIN. Our three blog hop winners will be drawn from all participants, so be sure to leave comments by Sunday March 25th at 6pm EST. We will announce the winners on the myStamp BOX blog and Faber-Castell blog on Monday, March 26th. Good Luck! 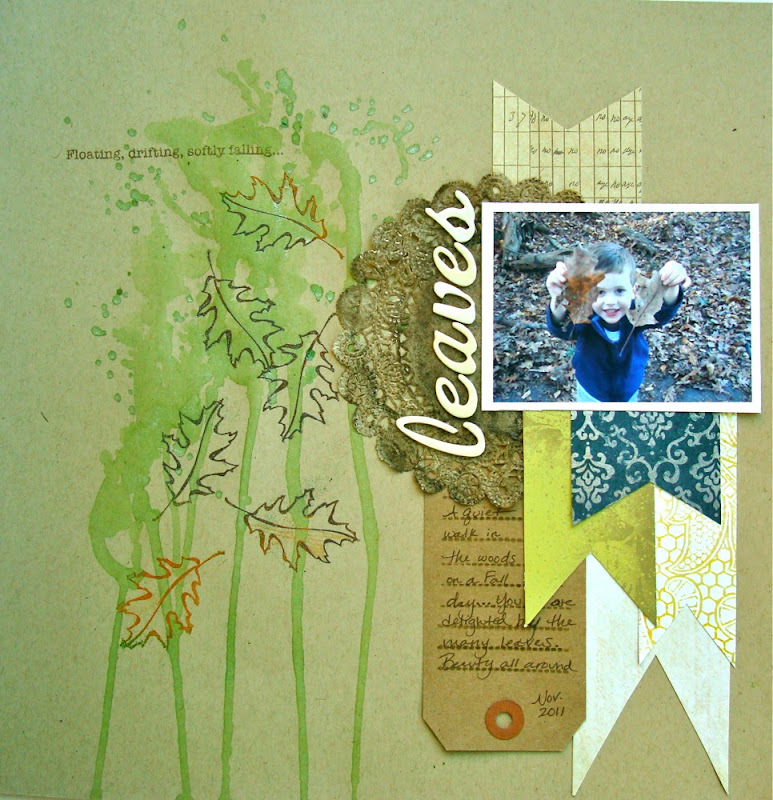 I used the "Falling Leaves" stamp set on this layout! I stamped the oak leaf along with WOW! 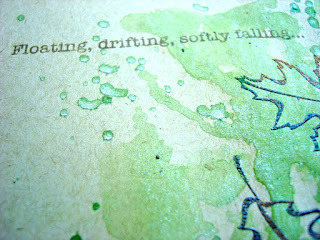 Embossing powders and created Gelato drips down the page. I used the chocolate Gelato to color the doily. 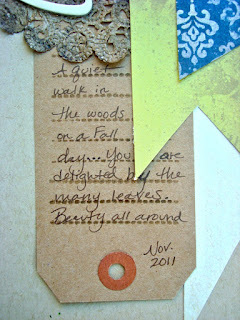 I love the little phrase included in the set... just the perfect addition to my page! 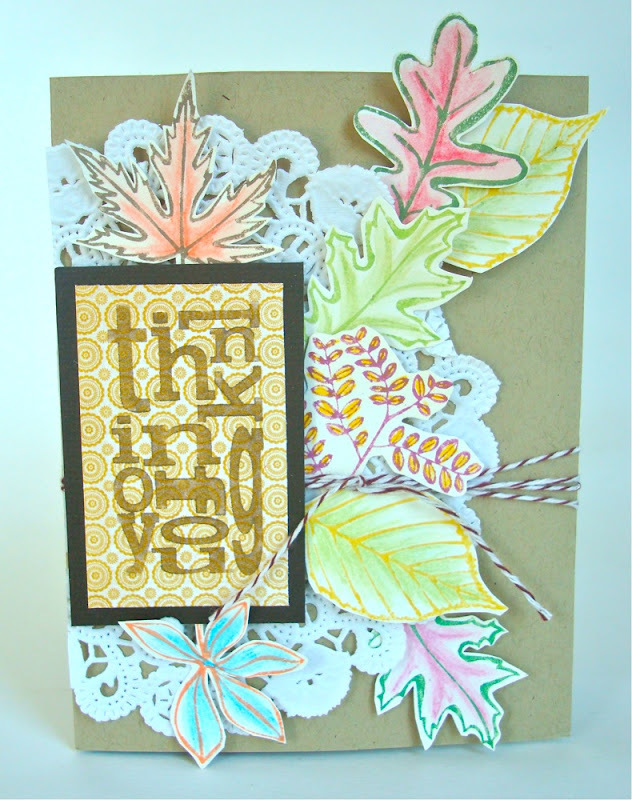 Here is a second project that I created using the "Falling Leaves" and "Happy Word Jumble" to create a sweet card. I love the fun way to add a sentiment to the card... 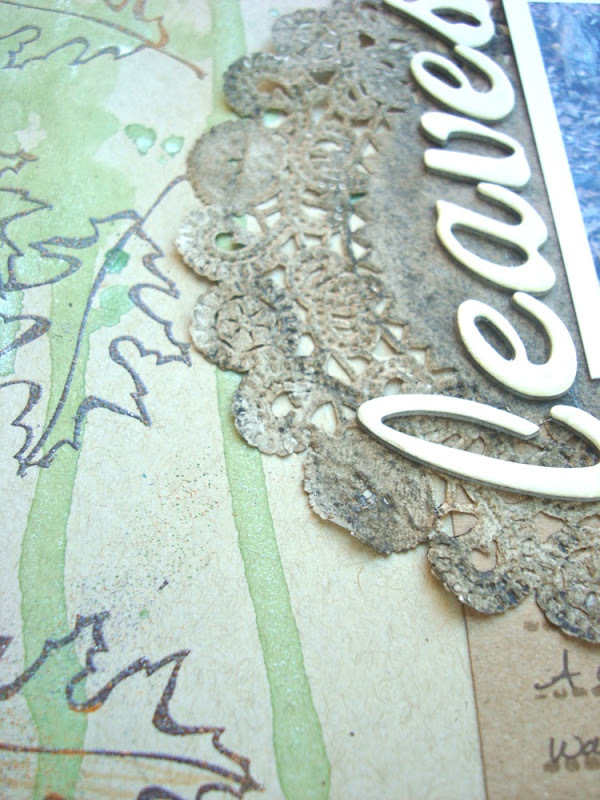 I stamped the leaves on cardstock and embossed them with WOW! Embossing powders. I then added Aquarelle Watercolor pencils from Faber-Castell to create contrast and beautiful color! I hope you enjoyed my projects using Faber-Castell and My Stamp Box products! Now it’s time to HOP along and find out what the next talented designer has created. Your next designer is ******Mou Saha. Don’t forget to leave a comment below for a chance to WIN one of our THREE product giveaways! Your projects are simply gorgeous! Hi! I loved working with the Gelatos. And you just gave me another thing to try with them: splatter! Love the effect you created. Thanks!!! Love seeing a layout on the hop! This is really beautiful and I love the effect you achieved with the Gelatos. Very cool! Wow Jennifer! What a beautiful layout and card! I love what you did with the gelato drips - what a fun idea! And coloring the doily with gelatos - perfect! I am dying to try those gelatos! I love your layout. It is so beautiful...Thanks for sharing. I love your projects and the effects on them. Thanks for sharing! Gorgeous projects! Love the LO! Great card, loved the layers! Love the gelato drippings and the choice of colours on the card! 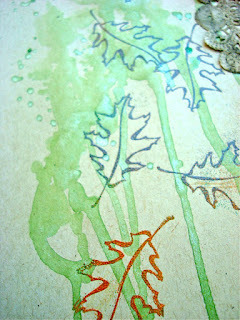 Great use of the leaf stamps! I love your layout and your card. I love the gelato drips the most. They just make it so amazing. Thank you for sharing! This is wonderful. 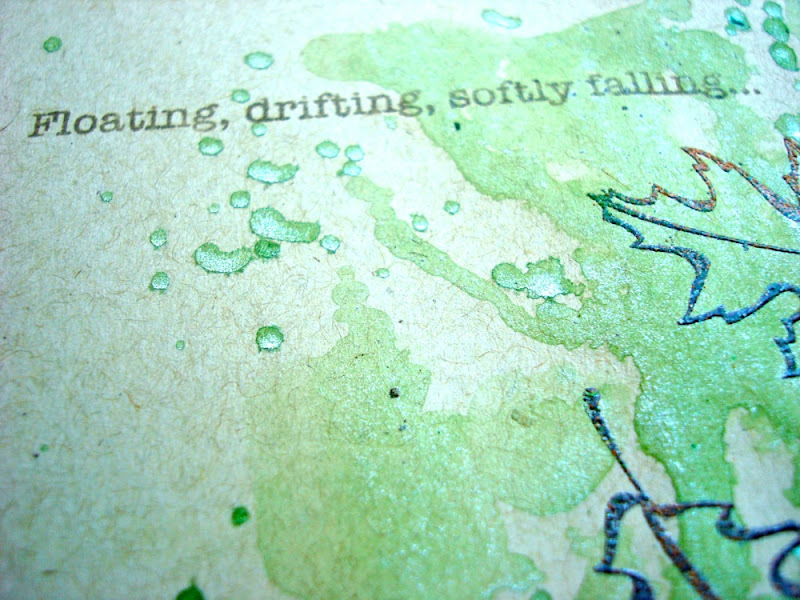 I love all that drippy goodness and layering. I love Fall leaves or leaves from anytime of year. You've done a wonderful job on these projects. Oh my, how I LOVE those drips you created with the glatos; I want to give that technique a try but first I have to get some gelatos! Thanks for the fun blog hop & chance to win! I love the drips! How cool. I'm going to go back and look at those again, they are that good. How you colored the leaves? So nice. I'm going to see if I can get the same sort of thing going. 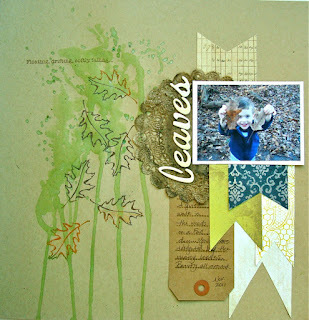 Very pretty projects using the falling leaves. I like how you added color. OH love the artsy feel of this layout. you do amazing things with ink and paints. I love these! I love your work, such great use of color! 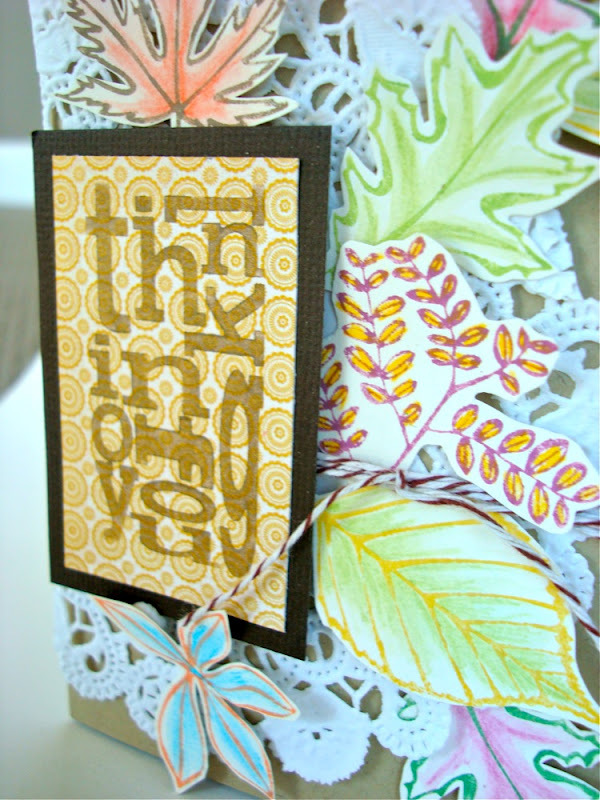 Great water drips on your layout and I love all the fussy cut leaves on your card. This is beautiful. Love both cards. 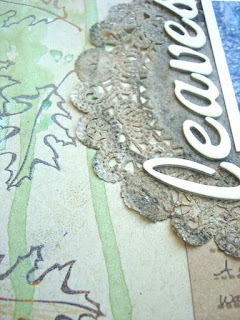 Love the organic feel of your scrapbook page! Amazing and goregous. Loved your projects and the tips on using the gelatos and other products. Can't wait to play. I do not mean to pester you. I posted on your post about Italy (Siena) awhile ago. I am a grad student writing about symbols there and your picture of the cart with the white oxen came up in a google search. I have not gotten a good shot of that as I have always been in the campo during the race (and so have my friends). I was wondering if I could use and site your photo in my thesis? I am getting ready to defend it very soon. It is not at all controversial, just about the attachment to place and the symbols of the 17 contrade and Palio. One of my blogs linked to this name has some of my older field notes if you want to check it out. My email is md134610@ohio.edu (Ohio University, Geography).